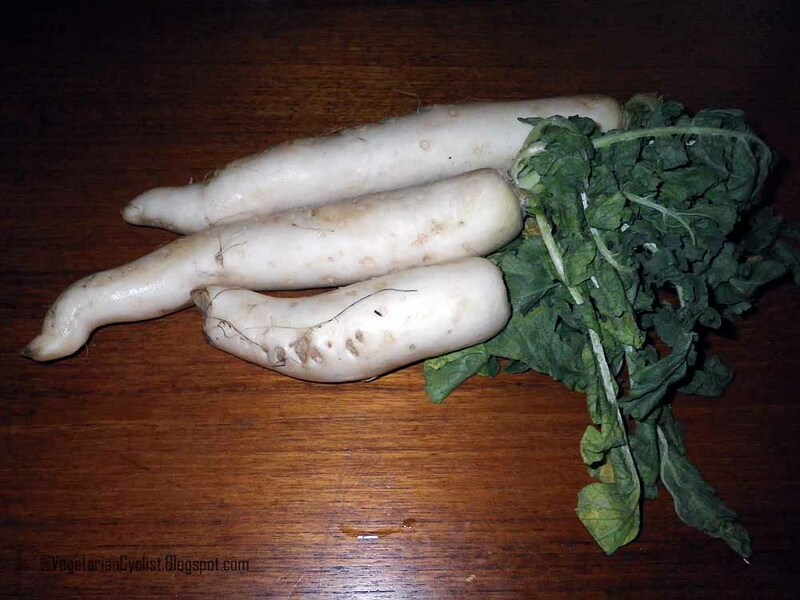 Mullangi/Muli/Daikon is a variety of Asian Radish. It is juicy and delicious when cooked properly. I prepared Radish Sambar with Onions and Tomatoes on Monday. It was not a "traditional" dinner, but we were happy with the outcome. There are two common ways of preparing sambar: a) use ready-made sambar powder/mix b) make your own sambar wet-mix. I consider the latter the real McCoy and I personally like the taste of sambar prepared using the latter technique. I posted a recipe for Onion and Tomato Sambar, once before. The recipe I used this time is very similar, except for a couple of changes. 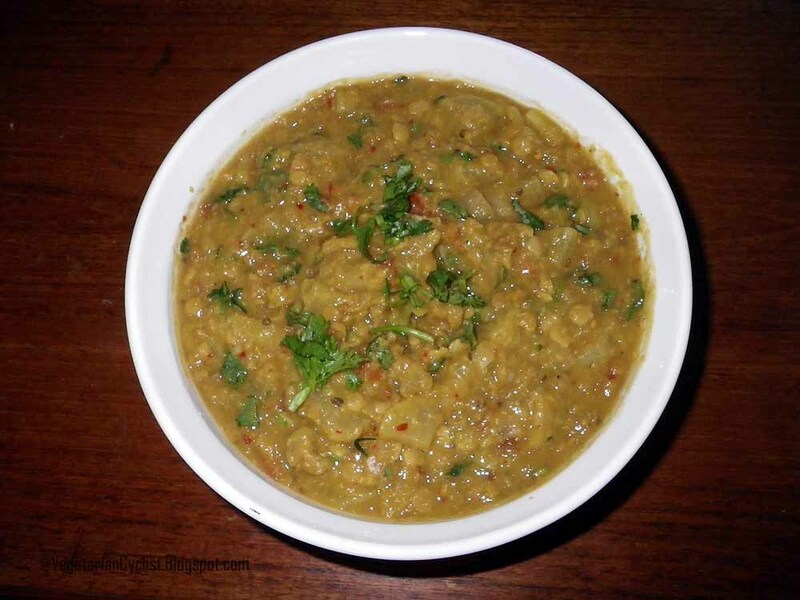 Cook the lentils until soft in a pressure-cooker or in a conventional sauce pan. In a sauce pan, dry-roast the coriander seeds, cumin, red chilies. Grind the the ingredients from step 2 and the grated coconut in a blender. Use little water (the mix should be moist/wet but not runny). Add 2 cups of water. Once the water starts to boil, add the cooked daal and the spicy paste from step 3, to the water. Turn down the heat a notch or two. Add the tamarind paste, turmeric and a pinch of asafoetida. Stir the mix so the lentils don't stick to the bottom of the vessel. Add salt to taste and garnish with cilantro and the chopped curry leaves. Add the sesame seed oil and stir.